I really liked that this book dealt with the idea of consequences. Too many times people do things without thinking about the aftermath. I think teenagers are especially guilty of this, always thinking, "It won't happen to me." Well, for Cassie it did happen to her. The story unfolds with glimpses into the night that changed everything: prom. Because of that night, she made choices that would have a drastic effect on her future. You meet some interesting characters along the way as Cassie suffers through wilderness rehab. During her month-long visit she has to reform and comes to terms with her past. It's a rather painful process for the main character. I really liked the premise of this book. It was a good message and relevant. 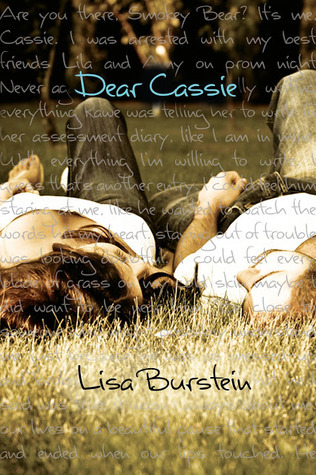 Unfortunately, the way the author chose to develop Cassie ruined it for me. She was this hard-as-nails teen that cursed up a storm. I mean, there were F-bombs on every page. And I don't mean one or two, either! It got to the point that it was ridiculous. I really think Cassie's character could have been developed and shown as "tough" without being so vulgar. If someone said good morning, she told them to F off. She also labeled every journal entry with " __ F-ing days to go." I tried to skip them and make my brain not read them, but I couldn't. They were littered all over the page like confetti after the pinata breaks. For that reason, I cannot give this book above a 3 star review. Had the language been minimal, it would have easily been 4 stars for content. Oh well. Overall, it's a good story, but the language is awful. Do not read this one if you can't handle F-bombs littering the page (along with other expletives).